A little more scatter terrain added to my collection. The trees are made from garden cuttings - ivy makes great gnarled and twisted trunks. The foliage is horse hair, sprinkled with flock, though I might revisit this step to add more. There's nothing painted here, just the bases. I liked the natural look of the twigs so decided not to add anything to it. The rocks are even simpler to make. Collect rocks, glue to base, paint base, done. Interesting looking rocks are essential here, again unpainted because I liked the natural tones of the real thing. The plants are also natural, some kind of lichen I think - I find it lying around on the floor of the forest after a storm, presumably it is blown from the tree bark. 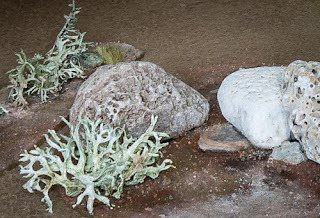 I mixed up some dilute pva, sprayed the lichen - this stiffens them up and hopefully will preserve them for some time. If they do rot away, there's always more post storm walks to be taken. The grass tufts are Gamer Grass, I posted a review a while back. The desert terrain collection is coming along nicely now. There are ruined buildings, a crashed ship and some craters. Then these new pieces add a more natural element. Next up I will attempt some hills and rock formations to give some substantial cover and the interest to a battlefield that height always brings. Maybe a few more trees and bushes to round things off. The first of the dwarf slayers painted. 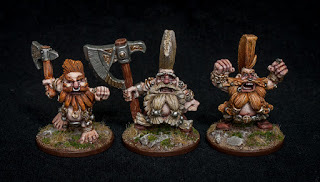 These are a mix of old metals - a dragon slayer, a Marauder troll slayer and a Blood Bowl troll slayer. This last one is probably my favourite, though he seems to have lost his axe, which is probably why he looks so angry. I was hoping to have the whole unit done by month end, but when it became obvious that was not going to happen I concentrated on these three, partly to experiment on hair colours. I had said that I would not go for the usual orange dye, but it just seems to work really well on them. It's some kind of fluff conditioning! The stripey trousers look good, but you have to really examine the figures to see them. The beards and hair are really exaggerated and it leaves little room for anything else - some tattoos would be good but I think they would just get lost in the overall scheme. I am calling these done and moving on to the rest of the unit. Real life has been busy recently, so I have had little time for hobby activity. Over the weekend the sun came out for a short while, so after a nice walk up a local hill, it was time for a less nice session of gardening. Pruning and tidying the garden, I discovered that a huge ivy had blown off the neighbour's roof and was hanging down the side of my house, blocking access. I had to remove it as best I could. Now if there's one thing I like less than gardening, it's heights, so perching on top of a ladder wrestling with some very tough ivy vines was not my idea of a pleasant afternoon. Still, once it was done and in the garden recycle bin, I could celebrate with a beer and the rugby down the pub. 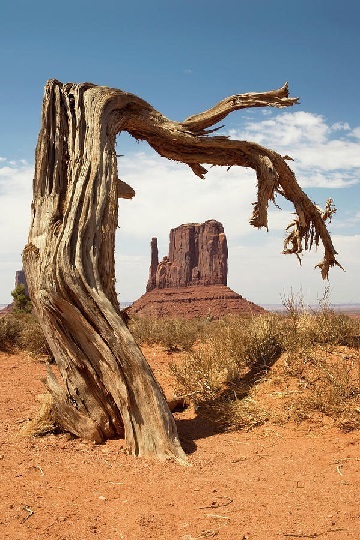 A few days later I was admiring the latest update on possibly my favourite blog, the Gardens of Hecate, and it got me thinking about my desert terrain collection. Trees are probably the last thing on my desert list, but I was inspired by the effect a few lone trees could have. 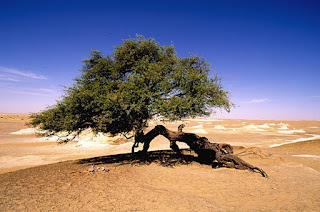 Googling desert trees returned images of what are basically bare twigs - some with a little vegetation. And that's where the ivy comes in - what could be better as a gnarled and twisted tree trunk? So back to the garden recycle bin I went and rescued some of the old vines. Suddenly the gardening session seems so much more worthwhile. This final image shows just how simple a desert tree can be. These should be really easy to "build" and base, to add some easy vegetation to my desert gaming board. It's also an interesting picture for the hill feature in the background. Desert hills or dunes have been on my mind for some time, but they require a little more planning and effort than the twigs. I have started to gather materials, from which ideas will materialise - but that's another post for another time. I am hoping to get some hobby time over the Easter break. 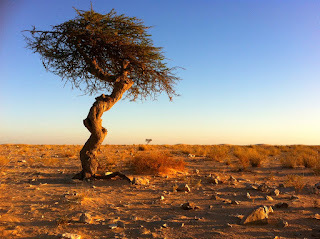 A handful of desert trees and maybe a few thickets of scrub and thorny bushes should be easy enough to knock together. We shall see. 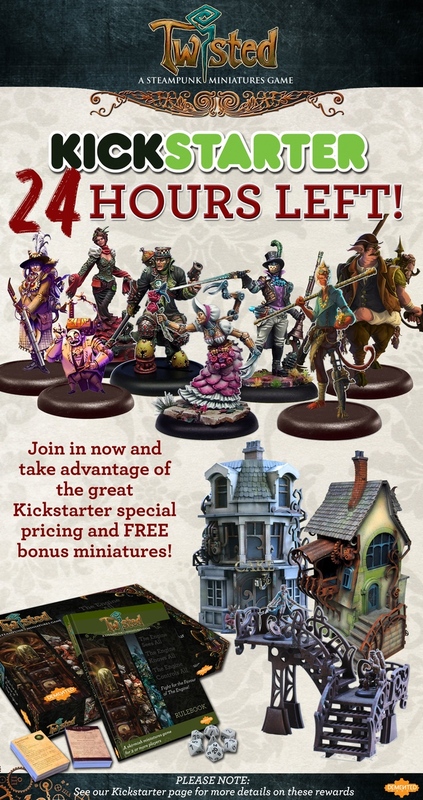 It's the final few hours of the Twisted kickstarter. I have been watching this for the past few weeks, though I already have most of the figures that I like from their range - bought last summer when I started a secret steampunk project (but that's another story for another time). They are superb sculpts, the detail level on the resin figures is world leading, while the metals are finely detailed too. I have backed for just one starter set, I already have the complete Guild of Harmony collection plus a number of the newer Dickensian figures, but I wanted to back in some small way. So I will be expanding my collection to include the Egyptian explorers. I will also be adding a couple more miscreants and will qualify for a small number of free extras. Another dozen figures to add to my upcoming project. Take a look, the concepts are amazing and the sculpt and casting quality is really top of the range. Having dealt with these guys previously, I am happy to back them and wish them all the success they deserve. There's not much progress to report. The reason for this should have been that I took a short spring break in York, but a couple of days before departure I picked up a virus and had to cancel the trip. It's taken about a week to recover from the bug, but finally I am able to make a partial return to brushwork. If I had a Book of Grudges, the influenza virus would be at the top of one page! The skin is well advanced in this shot, I would like to add tattoos but there is very little to work on - most of their bodies are covered in beard and bling! The colour of the hair will not be orange, I think it's the one reason I have never really liked the figures. I did read somewhere that ancient Britons washed their hair with limed water, to cause it to stand up, and it had the side effect of bleaching their hair blonde. This sounds like a good background to me, so I might have bleached highlights on the hair and beards.